Pomo at the best with panna cotta.....delicious dessert. U have made it so well...looks delicious n tempting!! 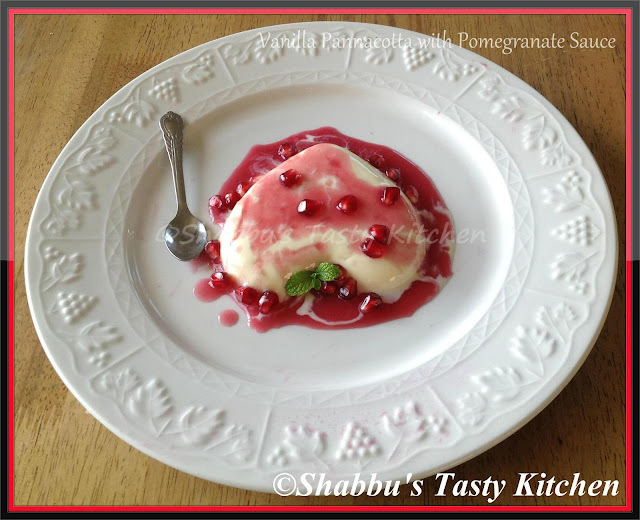 Lovely panna cotta! looks too good! love panna cotta anyday. A lovely dessert. looks wondeful!!! should give a try! Vanilla panacotta looks perfect and delicious.